A grit shield (sometimes called a grit guard) is a plastic grill that’s designed to sit a few inches above the base of a water bucket. This grill traps the grit when you rinse the wash cloth or sponge. This clever design stops dirt from your water bucket from coming into contact with your car’s paintwork. The insert keeps dirt, grime and residue confined to the bottom of the bucket to ensure that you get a scratch-free finish with every wash.
Place your grit guard in the bottom of your empty bucket. Fill your bucket with water. Give the car an initial rinse to remove any large pieces of debris. Use your wash bucket with grit guard to soap up the car and clean it. Any debris will sink to the bottom of the grill. The grit guard forms an integral part of the two bucket system with all debris stored safely at the bottom of the bucket. 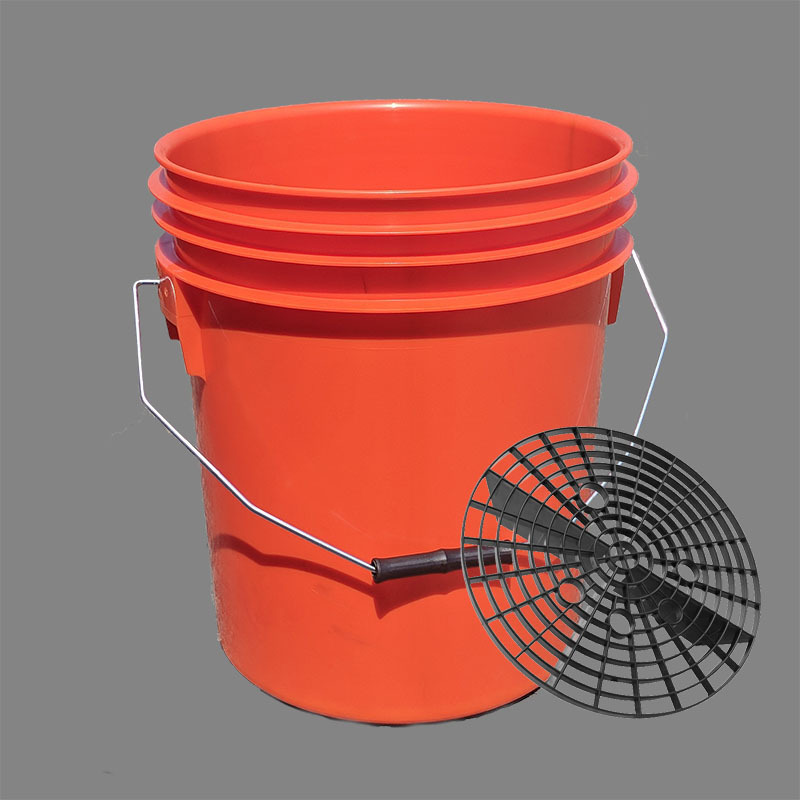 Of course, as the bucket is a H&O plastic bucket, you can be assured of exceptional build quality, thick walls and a product that will last. Prices for our buckets complete with grit shield start at as little as £6.07 per unit if you’re buying in bulk. Even if you’re just buying one for home use, they’re priced at a very reasonable £8.50. These prices are even more reasonable when you consider that, at the time of going to press,some of our competitors are charging £8.80 for the grit guard alone! To find out more and to place an order, click here to visit our retail site.